UNStudio recently unveiled plans for a series of flexible and modular “Stations of the Future” that would service a massive hyperloop railway network throughout Europe. The Dutch architecture firm, founded by Ben van Berkel, proposed a concept station made from “tessellating” modules that can flex, adapt, and expand to fit into various locations, such as a crowded city center, the edge of a town, or the inside of an existing airport. Stations have open and flexible layouts, and they can greatly differ in size. This makes it easier for the hyperloop system to provide each city with access to a mode of transportation that can travel at speeds of up to 700 miles per hour. According to UNStudio, the gentle curves necessary to accommodate the vast speed of the hyperloop vehicles would give the buildings “an inviting organic form to soften the geometry of the module.” In addition to the adaptable platforms and semi-transparent, curvilinear roofs, each station’s public level would contain luggage check-in modules, bicycle docks, daycare centers, and pocket parks. “Existing cities mean existing parameters, and UNStudio envisages a symbiotic relationship with its local environment: an integrated piece of an urban composition,” said the studio. 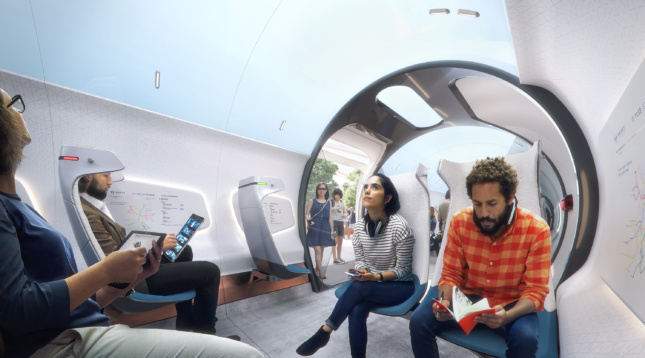 One proposed hyperloop line would run from Amsterdam to Frankfurt in 53 minutes, surpassing airplanes that typically take over an hour to travel between the two destinations. Using solar-powered technology, the hyperloop would produce no sound or environmental emissions and could harness enough energy to power not only itself but also surrounding public amenities and modes of transportation. 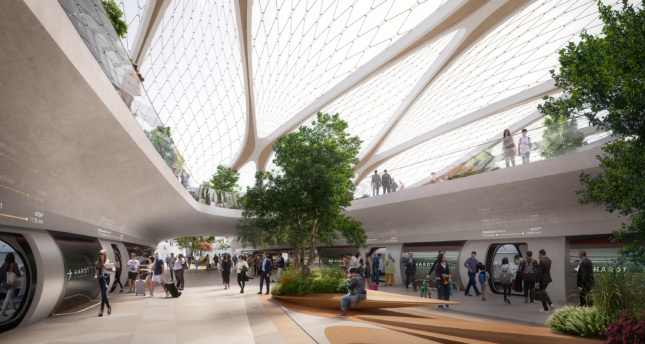 The firm has extensive experience designing rail stations, including the Arnhem Central Station in the Netherlands and the forthcoming Qatar Integrated Railway Project. 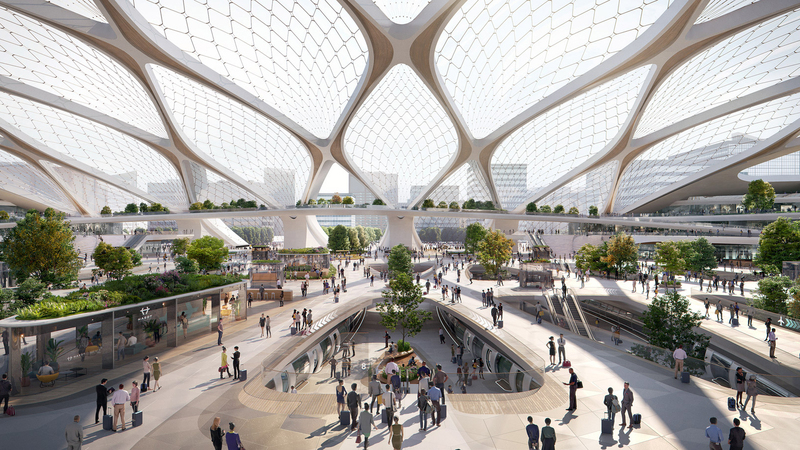 UNStudio designed the station for HyperSummit, which took place in Utrecht, the Netherlands, and was organized by Hardt Hyperloop, a European technology and transportation company that seeks to revolutionize modern travel.